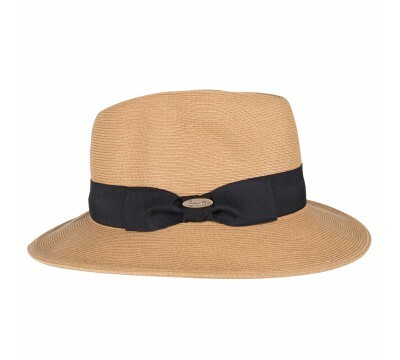 Distinctive ladies fedora hat with a straight brim, made of superfine braided natural straw, trimmed with classic ribbon. 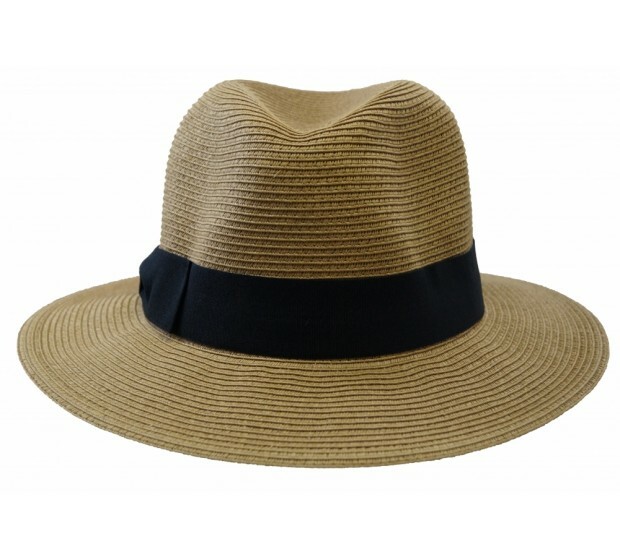 Venice is equipped with one-size fits all system. 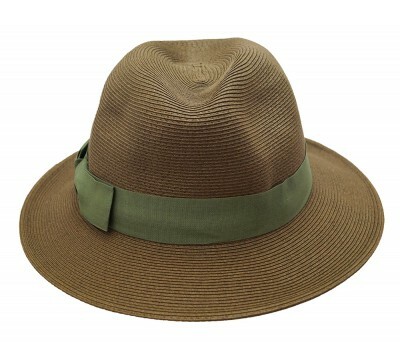 This beautiful warm color is very easy to wear during the spring/summer and perfect to combine with many other colors. 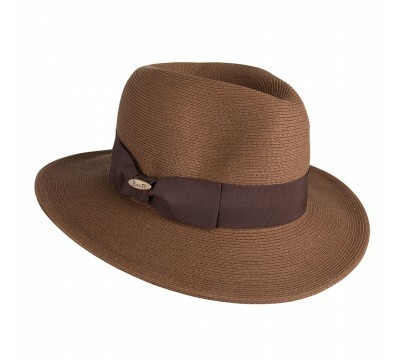 Bronté hat style Venice comes with a lost & found label, to personalize your hat with your name and mobile number. 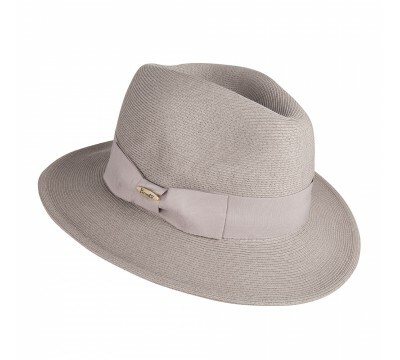 Venice - natural Distinctive ladies fedora hat with a straight brim, made of superfine braided na..
Venice - tan Distinctive ladies fedora hat with a straight brim, made of superfine braided natura..
Venice - grey/greige Distinctive ladies fedora hat with a straight brim, made of superfine ..
Venice - olive green If you like olive green and you love the comfort of Bronté hats, th..